Lori was excellent to work with. I had several specific needs in a new home. She worked very hard and indeed found a home that met my needs and exceeded my expectations. I recommend her very highly. I felt like she was available to me and she responded right away if I happened to find something I wanted to look at before she sent it to me. Lori was knowledgeable and responded quickly when I had questions or concerns about the process. She checked on my home when I was unavailable. I would recommend Lori for a home sale or purchase. Bought a Condo home in 2005 in Howell, MI. 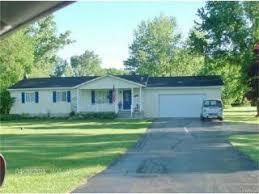 Lori was so patient showing us numerous houses until we found the right home for our family. She was with us every step, helping us with negotiations and providing us with great insight. We purchased a home through Lori in 2005 and again had her show us homes in 2014. We will definitely use Lori Killen for any future real estate business we may need!